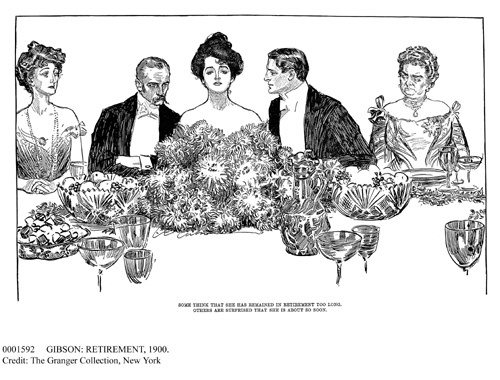 Charles Dana Gibson (1867-1944). American illustrator. ‘Some Think She Has Remained In Retirement Too Long. Others Are Surprised That She Is About So Soon.’ Pen and ink drawing, 1900. Apparently, in the 1880s, there arose all manners of flirtatious signals between men and women. This was no doubt due to the increasing informality between the sexes as they rode bicycles sans chaperones, danced all night beneath gas lamps, and sometimes were employed in the same company. The following modes of flirtation were found in various periodicals of the day as a warning for parents with young men and women romancing each other under their unsuspecting noses. The young man who pulls his hat low on the forehead informs his beloved that he loves her madly. When he tips it over his eyes she must not recognise him. When he pushes it to the back of his head he bids her adieu. Taking the hat off and brushing it the wrong way expresses his despair, carrying a stone in it tells of the fair one’s cruelty, and putting it on the ground implies farewell for ever. 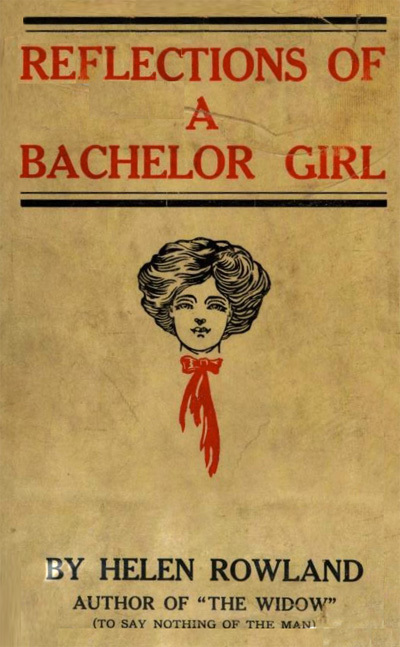 If the young lady uses her hat as a fan, she bids her lover come and see her guardian, while throwing it across the street signifies she is engaged. Some ingenious persons have given a meaning to the location of a postage-stamp on a letter. For example, they say that when a stamp is inverted on the right hand upper corner it means the person written to is to write no more. If the stamp be placed on the left hand upper corner and inverted, then the writer declares his affection for the receiver of the letter. When the stamp is in the centre at the top, it signifies an affirmative answer to a question, or the question, as the case may be; and when it is at the bottom, or opposite this, it is a negative. Should the stamp be on the right hand corner, at a right angle, it asks the question if the receiver of the letter loves the sender; while in the left hand corner moans that the writer hates the other. There is a shade of difference between desiring one’s acquaintance and friendship—for example: The stamp at the upper corner on the right expresses the former, and on the lower left hand corner means the latter. The learned in this language request their correspondents to accept their love by placing the stamp on a line with the surname, and the response is made, if the party addressed be engaged, by placing the stamp in the same place but reversing it. The writer may wish to say farewell to his sweetheart, or vice versa, and does so by placing the stamp straight up and down in the left hand corner. When a lady passes a handkerchief across her face this is a signal to the gentleman friend, standing in front of the cigar store, that she must speak with him soon. I can’t apologize for yet another post about Consuelo, Duchess of Marlborough, because I find her fascinating beyond the portrait she’s left us of a poor little American heiress bullied into a loveless ducal marriage. 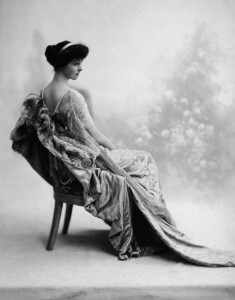 Consuelo’s memoirs are excellent for obtaining a glimpse into the opulent, extravagant and reckless life led by the wealthy and well-born on both sides of the Atlantic (and with trips to Imperial Russia and India under Curzon as well), but after reading Amanda Mackenzie Stuart amazing dual biography, Consuelo and Alva Vanderbilt: The Story of a Daughter and a Mother in the Gilded Age, one quickly gains the impression that Consuelo was not the victim of a pushy mother and a cold-hearted husband at all. Alva certainly did emotionally blackmail her daughter into marrying the Duke of Marlborough, and Sunny was a supercilious and arrogant English peer who may or may not have begun an affair with her friend Gladys Deacon during their marriage; however, Consuelo also indulged in her own peccadilloes. 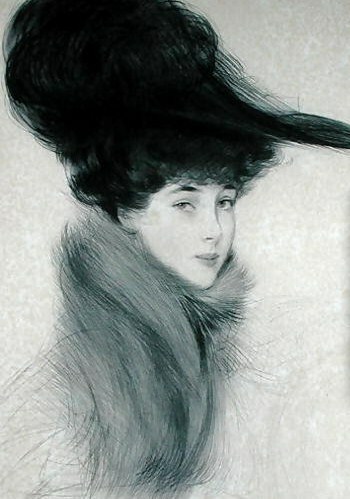 Her first (alleged) lover was the French artist Paul Helleu. In her memoirs she describes him as a “nervous, sensitive man with a capacity for intense suffering that artistic temperaments are prone to…[h]e thought himself something of a Don Juan, and with his black beard, his mobile lips and sad eyes he had the requisite looks, but he was too sensitive for the role.” Helleu came to Blenheim in the spring of 1900, when Sunny was away in South Africa during Boer War. 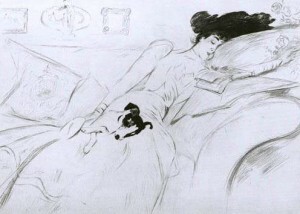 The artist sketched Consuelo in a number of elegant and intimate poses, the most interesting being a drawing of Consuelo sleeping on the couch with her little dog. Consuelo traveled to Paris in June of that year, where Helleu etched more dry-point pictures of the Duchess. An affair with the artist was possible in Paris, and Consuelo had an easy excuse for being in the city, for her father lived there with his second wife. Sunny returned home in late July, and by the following year, rumors about the trouble between the Marlboroughs began again, exacerbated by Sunny’s disappointment in being passed over for the post of Lord Lieutenant of Ireland, which he blamed on the American press, and therefore, Consuelo. It was in this thick, acidic atmosphere that Gladys Deacon came to stay with them at Blenheim Palace. Consuelo’s second lover hit a bit closer to home. 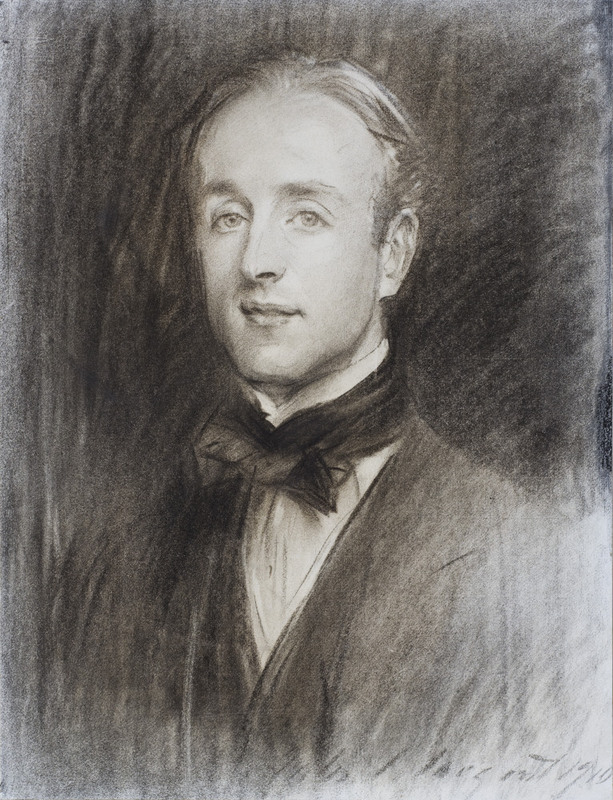 Charles Stewart Henry Vane-Tempest-Stewart was Viscount Castlereagh and eldest son of the Marquess of Londonderry. He was also a married man and father of two children–and happened to be Sunny’s cousin. In 1906, Consuelo and Castlereagh’s affair was hot and torrid, and shockingly, they hatched a plan to elope to Paris, a move which would have ruined both their lives, and the lives of their families, forever. No doubt this man stuck in Sunny’s craw, for Castlereagh was everything he was not: tall, attractive, well-liked, and at the beginning of a brilliant political career. The fact that his rival was a close relation couldn’t have been more hurtful of Consuelo, and her plans to elope further inflated Sunny’s immense pride and arrogance. Rumor has it that he wired Consuelo not to return, but Lord Castlereagh’s formidable mother (the infamous Theresa, Lady Londonderry) stepped in and possibly involved the King and Queen into exerting pressure on them to end their affair. Lord Castlereagh returned to his wife, penitent and pitiful (she refused to forgive him for a very long time), but the rift between Sunny and Consuelo was irreparable, and they began to take steps towards separating, or even *gasp* a divorce. The relations between Sunny and Consuelo were so strained by 1913, he did his best to meddle in her love life, and perhaps this is why Consuelo’s last documented lover before her divorce from Sunny in 1921, was another of his first cousins, Reginald Fellowes. The son of Sunny’s aunt Lady Rosamond and her husband the 2nd Baron de Ramsey of Ramsey Abbey, Reginald was born in 1884, making him a scandalous seven years younger than the thirty-six year old Consuelo. Reginald’s relations with the estranged wife of his ducal cousin were a major source of trouble within the family, both for his parents, who were desperate for him to marry suitable a girl of their choosing, and for Sunny, who stewed and stewed over her personal affairs. The relationship between Consuelo and Fellowes appears to have fizzled naturally, but it surely must have underpinned Consuelo’s intense desire to sever her ties with her bitter and vindictive husband. Now, this post is not intended to slander or judge Consuelo’s personal affairs, but I’ve always found it very interesting that two of her documented lovers were her husband’s first cousins. Was it a coincidence? Was it true love (or lust)? Or was it revenge? Perhaps a mixture of all choices? Tell me what you think in the comments below!